Active since 2008, Lord Energy is a commodity merchant that has historically been engaged across both liquid and dry bulk seaborne markets, focusing mainly on unprocessed oil and gas industrial feed-stocks. The company takes its activity with passion and commitment, fostering long-term relationships built on reliability and performance, while still respecting the mutual benefit of all trade counterparts. With offices in Europe and the Far East and a series of associates in most important production and demand centers, we base our activity on detailed market knowledge and analysis. Our business rests on the principle that the physical trade of raw materials should be beneficial to all elements in its chain, and therefore only enter into trade flows which we firmly believe will safeguard the interests of both us and our counterparts. We are fully independent with no major producer or trader holding any form of stake in our operation. Furthermore, the company is not engaged in and does not foresee entering into any extraction and production asset of the commodities that we move. The firm’s revenues are reinvested in the trade business or in the development of innovative Energy research and development projects. We have extensive and thorough shipping experience and freight market intelligence. Our activities have evolved from moving coaster sizes in the cross-Med trade of dry bulk materials, a sector in which we have, for many years, been one of the largest operators, to currently focusing on the tankers sector where we are active especially on the suezmax and VLCC segments. Our long-term company target is to grow our success in the seaborne flows of crude oil and natural gas and to participate in the development of the post-fossil fuel energy system via High Energy Physics research. The company was founded solely by Dr. Hazim Nada in March 2008 while still being a PhD student at Imperial College London. Starting as a single person unit with only 50'000 CHF of capital, the company began as Trafossilus AG in Switzerland using the savings of our founder from his previous employments in the trading sector. With little capital and unable to engage as principal in the trade of commodities, the first two years of the company were mainly characterised by an activity of providing market analysis and business development services to European industrial groups and major trading companies with whom Dr. Nada had worked in his previous employment. The ability to move cargoes as principal began in the low-cost sector of dry bulk commodities in the Post-Great Financial Crisis period. Starting with coaster size and sub-handy shipments of grains and cement requiring little capital, the company was able to single handedly create the largest bagged cement import market in the Mediterranean during the years 2010-2016. In such years we moved over a fifth of all the bagged cement crossing the Mediterranean, supplying European cement to satisfy the needs of Chinese and Korean construction conglomerates engaged in large infrastructure and housing projects in Africa. With such operation at hand and established links in China, it was swift for the company to also begin moving coal, supplying low rank and low cost thermal material to the Chinese state owned utility sector. 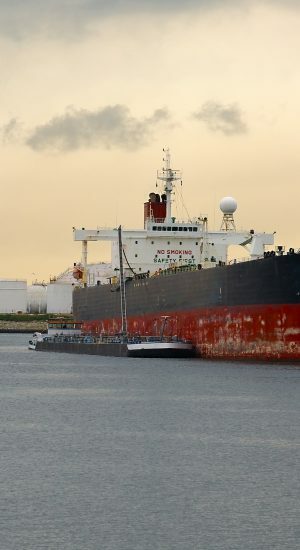 With strict discipline in retaining all profits for growth, capital was built via the dry bulk sector and the company was finally able to act as principal in the market of its original purpose: the oil and gas one. Today, Lord Energy remains entirely independent, and without ever taking any funds from any external investor, we are proud that all our growth has been through retainment of profit or release of profit to capital. Our business today is a reality with multi-billion dollars a year in revenues, covering all regions and realities in the crude oil sector with a growing presence in the Americas and a very established and recognised presence in the Far East. We look forward to continue our growth to add more value to all our trade counterparts. The firm's historical main trade flows can be categorized broadly in dry bulk and liquids. The former has historically covered shipments of grain, coal and cement, with the latter forming the vast majority of our activity in this segment. 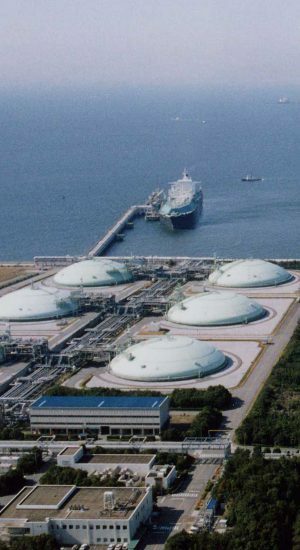 In the liquids market the firm is primarily engaged in the trade of crude oil, encompassing grades across all sulfur and gravity levels (including condensates), and liquefied natural gas. Our current and long-term trade emphasis remains the global trade of crude oil and LNG and the support of research and development in High Energy Physics. We are an active charterer, with most of our sales accounting for freight elements as our responsibilities. The firm has extensive shipping experience covering dry bulk ships, tankers and general cargo vessels of all sizes with charters varying from simple voyages and contracts of affreightment to time charters of varying tenure. Our activities have led us to operate ships often more efficiently than the original shipowners. Lord Energy constantly strives in this market to efficiently seize on all arbitrages it is able to execute at any given time across quality, time and geography. We are active across all grade qualities and origins from heavy sour grades originating from countries like Canada and the Persian Gulf, to light sweet grades spanning North and West Africa, and Australia. In an increasingly efficient and competitive market, we believe that a niche presence will always be needed to counter the increasing size and span of the larger trade participants in this business who are gradually becoming competitors to their own customers in refining and suppliers in production. We offer real independence and niche care and market access where others offer zero-sum trades and optimization tactics enforced at the expense of their counterparts. The business is covered by our offices in Lugano, Houston and Singapore with associates in most relevant production and demand areas. Noting the structural changes of this important market, the company is keen on developing its presence. We offer independence and loyalty in service where others mainly focus on their own asset optimization. The nature of this commodity makes it so that its quality issues, which mainly pertain richness and contaminants, are far less accentuated in its evaluation than in other markets of similar scope such as crude oil and coal. From a merchant’s perspective LNG is hence more commoditised and hence, in principle, even more tradable than crude oil. With supply diversity increasing around the world and the logistical hurdles easing with the increase of off-asset tonnage availability, we see the importance of merchants becoming ever more relevant in the second half of our decade and we shall hence strive to grow and establish our presence. Demand growth should be fomented by increasing supply availability and easing logistics, especially in light of ever more pressing environmental regulatory changes around the world.